A great way to increase enchantments. This mod adds several(32 are displayed, I don't have time yet to display to the new ones.) enchantments in addition to the vanilla minecraft enchantments. Some enchantments will be revamped and/or be nerfed as this mod is still in W.I.P. most notably the enchantments that is way too simple. 70 - 120 enchantments are planned, including for sword enchantments, armor enchantments. Currently I am working on swords and axes for combat enchantments, tools enchantment and armor will be in future updates. Enchantments that are not meant to be combined because they are too OP are still being worked on. For each level converts 25% of your damage to armor penetrating attack damage against armored opponent. Has a custom death message if the sword is enchanted. The only known bug is if a mob holds a sword enchanted with this gives a wrong death message. Deals extra damage based on your damage to a burning mob. Each of your attack has a very low percent to instant kill mobs and player. Each of your attack has a chance to cripple an enemy, applying many negative potion effects to an adversary. Each of your attack has a chance to perform critical damage that based on your attack damage. Applicable to axes. When attacking an opponent, applies a jump boost to yourself. If you jump and attack a mob while falling, you deal an extra 1.5 times damage based on your attack damage and if that mob has low health, it is instantly killed. Beware that performing this rapidly will make you exhausted more quickly. Deals extra damage to creepers. Your attacks now apply a poison and wither to a mob. (Note that this doesn't apply poison to an undead mob as they are immune to poison). Changes your damage to magic (The level function is similar to the Armor Piercing Enchantment). (Note that when a mob has this enchantment applied to its weapon you will die with a death message similarly when you die because of a instant harming splash and/or potion). Just like the vanilla except it has increased damage and increased slowness. Just like the vanilla except it don't update the attack damage display and has increased damage. Just like the vanilla except it has increased damage. Also applies weakness. (V0.2.0). No longer W.I.P. Only applicable to axes and increases your damage to armored opponents with their armor not less than 3. Your attacks now heal you based on the percentage of your dealt damage. Each of your attack damage now has chance to completely remove active effects from your adversary. When that triggers the adversary will be inflicted with a slowness and will receive extra damage. Empowers you to deal additional damage to a mob the lower the hp health they have. Deals extra damage to witches. Applicable to Axes(Will be changed). Enables your attacks to damage a multiple mob in front of you. Deals additional damage against fiery opponents (Blazes, Magma Cubes) and Endermen. Your attacks are weaker against a burning mob and you deal bonus damage against a mob that is soaked in water or rain. You also deal bonus damage if you are soaked in water or rain against your opponent. Any items/weapon enchanted with this now instant kills any non invulnerable(soon will affect invulnerable and creative players) mobs and players. Your attacks now lifesteal against undead mobs and you deal additional damage against undead mobs. Your attacks deal extra damage against animals. Your attacks now deal extra damage based on your attack damage against non-undead mobs. You also will be damaged based on your attack damage. (Note that you will not be damaged if you attack undead mobs. You also will not deal extra damage to undead mobs). Randomizes your damage, you can deal from a negative damage (heals your opponent) to an enormous damage against any mobs. Your attacks have a chance to reduce the invulnerability of a mob, potentially results in you damaging them much faster. (Note that knockback causes this enchantment to be less potent). Your attacks deal extra damage against nether mobs and entities that are immune to fire (after all nether mobs are mostly immune to fire). One of the subject enchantments (Subject enchantments are special enchantment that have their own category) You deal extra damage against smart mobs (having smart AI). (Iron Golems, Wolves, Villagers, Snow Golems, Witches(well witches know how to drink and make potions after all), Zombie Pigman). One of the subject enchantments (Subject enchantments are special enchantment that have their own category). Your attacks has a common chance to deal extra damage to mobs. (Similar to critical strike except that the damage is lower but the chance is higher by comparison). Similar to enchanted, converts your damage to cactus. (The level system is similar to enchanted and other converting damage type enchantments). Your attacks deal extra damage against mobs with wither and/or poison. The extra damage given to mobs with wither is higher compare to poison and they can be stacked (The damage I mean). If I am helpful to you in my replies, you can give thanks to me if you want to. It makes me feel like I helped a person in need. You can do that by clicking the upvote button in my comments. Looks good, I always enjoyed enchanting mods in minecraft!. Subcribed! Sorry for not updating this mod for few days, because I am testing and creating many difficult enchantments. 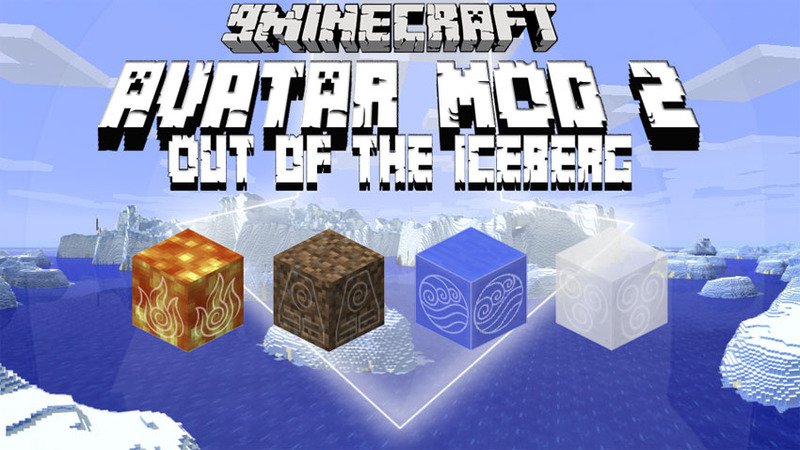 However I am currently working this mod to be updated to 1.11.2. Yes, 0.3.0 will be the last update for 1.7.10. The next update (0.4.0) will take long because I will have to implement proper enchantment applications (in other words preventing some enchantments to combine for balancing purposes) and a direct port from 1.7.10 to 1.11.2 requires a ton of fix and test. So thank you for downloading and reading this post for anyone. Yeah but doing this in 1.11.2 is very very hard. Also my enchantments are very unbalanced in this moment that I need to set their right bans respectively. Its just that I don't have a right time because I need to add all first to know what I should ban. Anyways I will release the last version maybe later within this day. Good news, I can release a 1.8.9 version though I haven't add anything yet because of porting stuff and real life interruptions. I shall release it after 2 - 4 days after. Stay tuned and have a good time guys. Finally updated to 1.8.9. This update brings new armor enchantments though they might be OP.